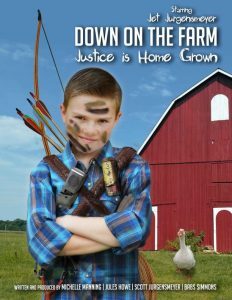 A precocious young boy determined to keep his grandfather from selling off the family farm, goes on a mission to find a stash of legendary gold believed to be buried there. Little does he know he has some competition: a man with a decades-old grudge and a couple of misguided farm hands who all have plans of their own. A woman with a tragic past must rebuild her relationship with the son she left behind ten years earlier through the only common bond they share: their creative spirit. But she’ll soon learn she has an even stronger connection to the boy deeply rooted in their troubled family’s DNA; an undeniable passion for motorcycles. 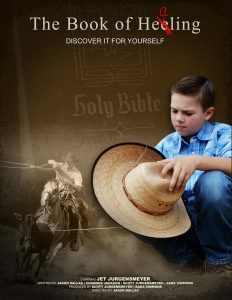 A remarkable story about faith and family set in the world of the rodeo circuit. The story revolves around a father who is torn between his family and the love for the sport, a decision that many may face at some point. With the help of his young son (Cole) and guidance from the incredible book Cole has recently discovered, The Bible, this family discovers how to heal. © Copyright 2008-2017 Crooked Sidewalk. All rights reserved.